Midterm exams, after-school jobs, soccer practices, all-night internet sessions and…proper nutrition? With time at a premium, it's no wonder that today's teens can't always put nutrition at the head of their priority list. Busy schedules often mean eating on the run. In fact, it's estimated that up to one third of all meals eaten by teenagers are consumed away from home. Sometimes that translates into fast food convenience at the expense of sensible eating. 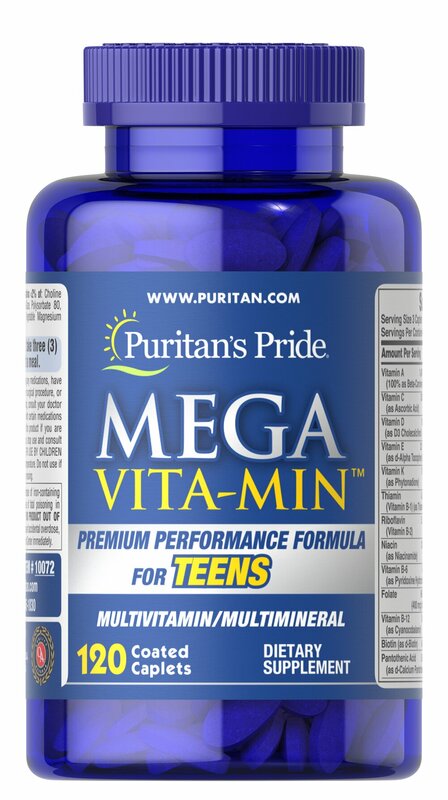 To ensure that you're getting your recommended intake of nutrients, we've developed Mega Vita Min for Teens, a comprehensive multivitamins/mineral supplement designed to fill some of the holes in your teenager's nutritional gap.